If you’re a fan of Korean skin care (aka K-beauty), you’ve probably heard about the ingredient Centella asiatica. Known by a variety of names, including Brahmi, Asiatic pennywort, tiger grass, and gotu kola, this plant extract is hailed as a hydrating skin-saver. Centella asiatica is included in numerous moisturizers from South Korean brands, often labeled “cica creams,” and, not surprisingly, it's also garnering interest from Western beauty brands. Centella asiatica is a perennial herb that grows primarily in Asia. For years, it’s had both culinary and medicinal uses, but like many traditional plant extracts, it’s gaining popularity as a skin care ingredient. This swamp-dwelling herb first started appearing in South Korean cica creams a few years ago, although U.S. brands from Estee Lauder have used it off and on over the years—they just didn’t call them cica creams. Cica creams became cornerstones of the famous K-beauty ritual because of their alleged soothing benefits, and, in a case of everything old being new again, Western beauty brands are claiming it’s the hot new beauty ingredient. But, is Centella asiatica worth the hype? 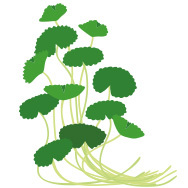 What Can Centella Asiatica Do for Skin? Studies show that Centella asiatica isn’t just a passing fad—it really does have benefits for skin, thanks to its active compounds, including madecassoside, which serves as an antioxidant. Centella asiatica itself also has been shown to have potent antioxidant properties and to be a rich source of amino acids, and there’s additional research showing that it’s a good hydrating ingredient to soothe upset or compromised skin. Centella asiatica also helps mitigate some of the visible effects of sun damage, plus there’s evidence that it can help revitalize skin’s protective barrier. That’s a great list of benefits for one plant ingredient, but just to be clear: Centella asiatica isn’t the best or only natural ingredient that can improve skin. There are literally hundreds of beneficial natural ingredients, as well as outstanding synthetic ingredients (hello, peptides!). In fact, it’s somewhat similar to green tea, in that it’s a plant-derived antioxidant with skin-soothing properties that got its start in traditional medicine but now has the hard science to back up its purported benefits. While many natural ingredients are big on talk, but small on results, research supports many of the claims around Centella asiatica.